My favorite energy drink in the world. I took this picture on Saturday morning. The background is my backyard, behind the fencepost. I love VPX’s BANG energy and Biotest’s SPIKE energy drinks. I capitalize those words, because that’s how they are branded by both companies (VPX Sports and Biotest). They both wield 0g of sugar and 300mg of caffeine (if you are talking about the “Shooter” 8.4oz version of SPIKE energy). They should only be consumed by adults. I state the last sentence, because “should” — in the real world — does not always translate well. By all accounts (of what I know and have researched), neither BANG nor SPIKE have been reported in any adverse cases where teenagers have imbibed energy drinks. The media scares people into believing that energy drinks are “garbage”. I think, in the realm of edible items, dubbing something as “garbage” is subjective. One man’s trash is another man’s treasure. Consumer responsibility doesn’t seem be as valued as much as it used to be. If you want to halt teenagers from ‘overdosing’ on caffeine via energy drinks, then these companies need to step up and make it so that you can only be 18 years of age or older to purchase them. I know that’s not fool proof and that kids can ask adults to buy them for ’em, but it’s a step up. Also, as a parent, educating your child the best way possible about consumption is imperative. That’s also not a guarantee to prevent your kid from drinking energy drinks, but it’s another channel. But don’t act like a parrot and repeat what the media says just because of teenagers out there winning Darwin awards by partaking in consumer neglect. A “venti” black coffee from Starbucks reportedly contains 600+ mg of caffeine. You don’t hear about adverse effects from those drinks on teens because black coffee is an acquired taste. It’s strong, and coffee typically isn’t ‘chugged’. 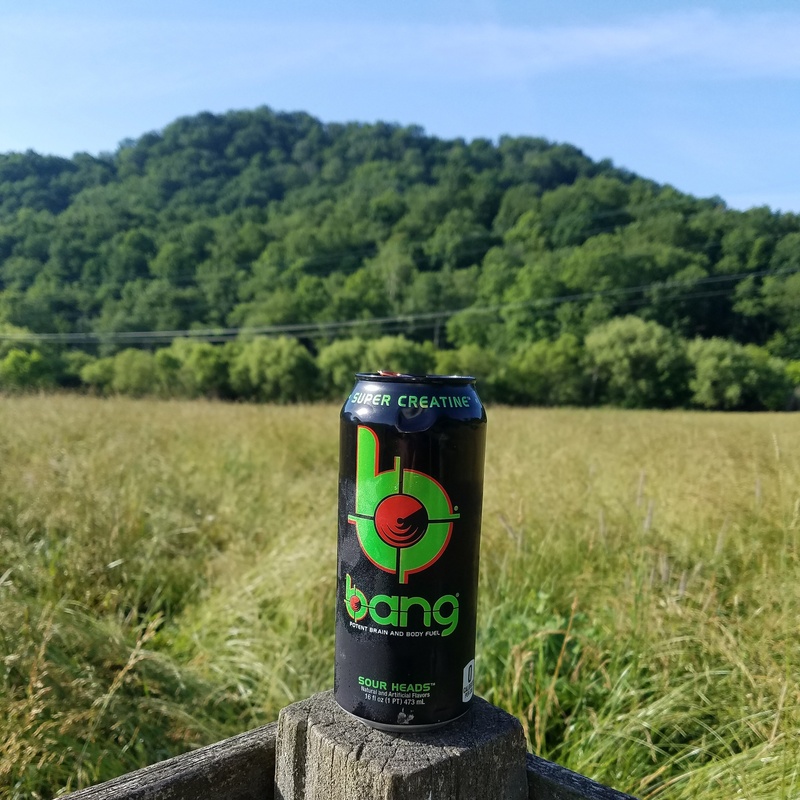 However, 600mg is twice the amount in BANG and SPIKE, and almost four times the amount in a typical Monster or Rockstar energy drink (140-160mg per 16oz can). Be careful demonizing what you don’t understand, simply because the media tells you to. I enjoy caffeine from various sources. I understand how much I can handle. Self-awareness and knowledge is key. Don’t blame a product for accepted ignorance. Take responsibility. “You’d be furious if someone you loved experienced an adverse effect from drinking energy drinks!” ~~ To that I say: Of course I would! That doesn’t make me a hypocrite. What point does this statement serve to make? I don’t understand the disdain for artificial sweeteners, either. I’ve never read a single, scientific, peer reviewed study on human beings that signifies any adverse effects from them. Only anecdotal accounts. The only studies out there that exist where negative health effects occur are on mice where they have been given a megadosed amount to the point we’d have to all consume 20 cans of Diet Coke in a sitting to have the same effect. I don’t know about you, but I don’t know anybody drinking 20 cans of Diet Coke in a sitting, let alone in a day. Coffee has jumped up in popularity in recent years, and I’m going to ignorantly guess that energy drink consumption has gone down a bit. “Death Wish Coffee” promotes the “strongest cup of coffee” out there; it’s decent, but $20 for a pound of coffee is so freakishly overpriced it hurts. Now coffee is becoming a fad type of deal with companies like Death Wish, with “Bones Coffee”, “Legal Drug Coffee” and “Kokaine Coffee” being buzzword (particularly the last two), fad, “eye grab” names. The cheap coffee from my local grocery store tastes just about as good, if not better. I like using my French Press in the winter, because coffee is too hot to drink in the summer. I’d rather drink an ice cold “lemon drop” flavored BANG.